MADERA VANDALISM: "We as a community cannot tolerate this type of blatant disrespect of others and their personal property"
MADERA, Calif. (KFSN) -- The City of Madera is sending a message to those responsible for a Sunday afternoon vandalism. In a Facebook post, the police department says, "The motive of this crime is unknown, but we as a community cannot tolerate this type of blatant disrespect of others and their personal property to occur in our city." The post says the vandalism happened about 1 pm behind 216 East Yosemite. A Cadillac CTS can be seen arriving and parking. 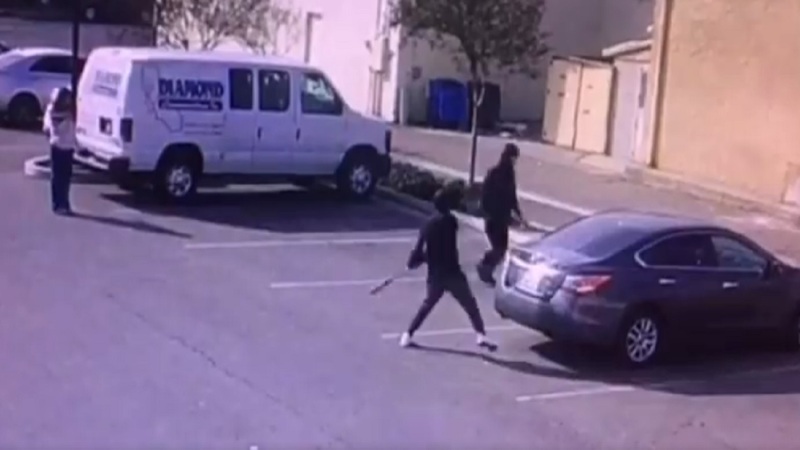 Three suspects are seen exiting and the two males damage the victim's vehicle while the female appears to record the incident. The motive of the crime is unknown. Anyone with information about this incident or the identity of the three involved are asked to please call Detective Sauceda at 559-675-4244.